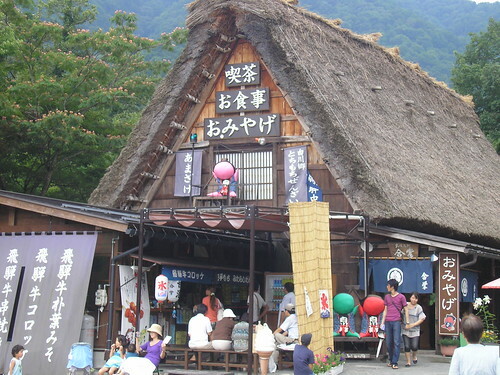 I went with some friends to Shirakawa-go today. 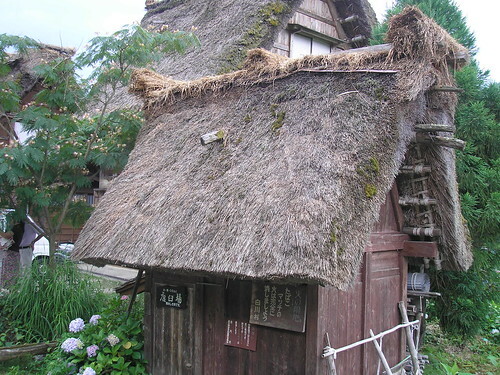 Shirakawa-go is a small village in the Gifu prefecture, near Takayama. It took about two and a half hours to drive there, and it was a very scenic journey, even though we were on the highway most of the time. 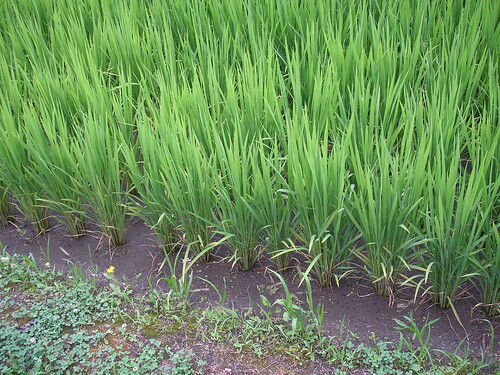 When we left Nagoya I think the temperature was up in the 30s again – it certainly felt hot and humid as usual. 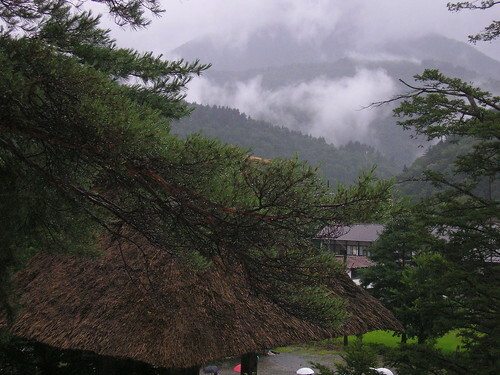 It got a little cooler when we reached Shirakawa-go, which was nice. We were closer to the mountains, and the sun seemed to have gone away… but then the rain came! 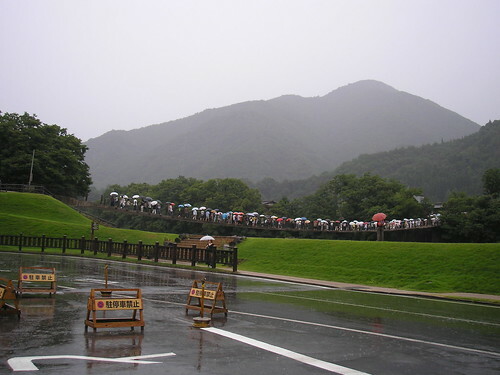 And when it rains in Japan, it really seems to pour! 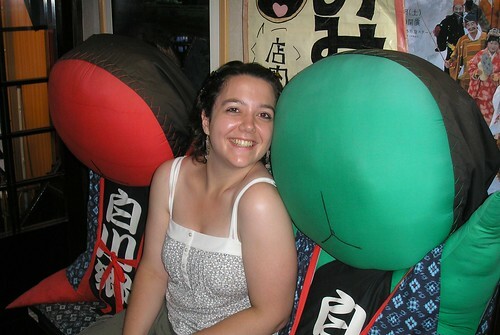 I think the conclusion was reached that I might be 雨　女 – rain woman! I actually kind of enjoyed the rain, and it certainly made the day memorable and interesting! So… most of my photos have umbrellas and wet people in them! But it was a very good day. 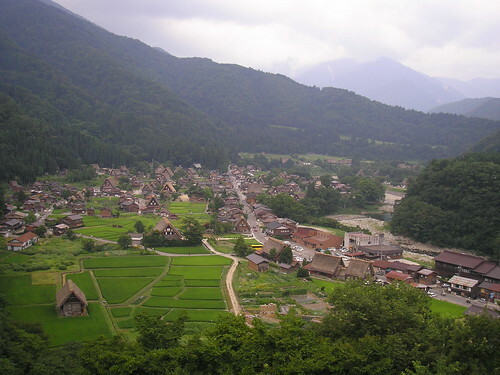 There are a couple of good websites for more information about Shirakawa-go, here and here. These little cuties are called sarubobo. 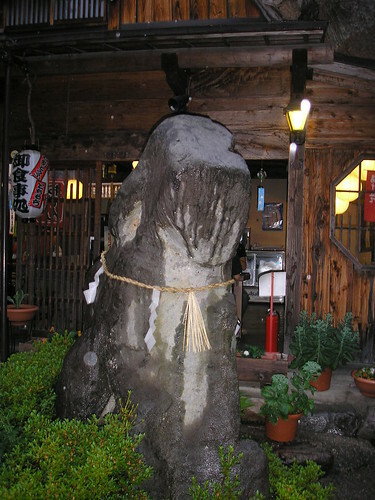 Sarubobo are a kind of good-luck charm, popular in Takayama. They’re so kawaii! !